Unlike the majority of the marketing mix, public relations doesn't come across as self-serving—like advertising. Rather, a properly executed PR play will communicate your marketing message from an informational place. 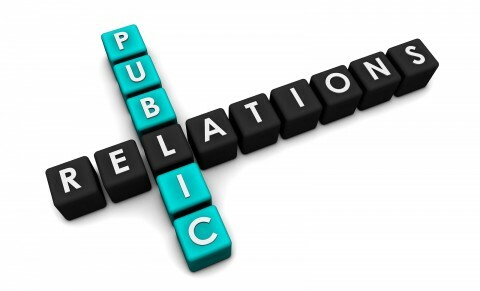 It's important to realize that PR is an important part of the marketing mix. Online press releases are a step in the right direction and this short blog post will offer a little help. Just keep in mind what Oscar Wilde once said, "The only thing worse than being talked about, is not being talked about." Aside from possible media exposure, online press releases are an extraordinarily easy way to increase your website's reach and rank within search engines. The reach of your website is dramatically increased as your promotional press release makes its way all over the web through news distribution sites. This larger reach opens up numerous channels for traffic to get to your site. In addition to increasing the reach of your site, online press releases also increase your site's ranking. Search Engines rely on more than keyword frequency within a site to determine if the site should be displayed or not. They also rely on the number of sites linking to your site. The thinking is that the more sites that link to yours, the more likely your site stands as credible and expert. Submit your online press release through one of the submission sites and within minutes the release could be featured all over the web from new-related sites to industry blogs. Overnight your site will be seen by search engines as being linked to by not one or two sites, but hundreds. This increase in the number of sites linking to your own will both increase the number of channels for traffic to make it to your site, but also increase your site's rank, achieving a higher position in related search engine queries. Develop a newsworthy, informative release that both introduces your company and informs a targeted audience about anything from new key hires, new service offerings, how a political climate affects your small business, or promoting your attendance of an event. The key in step one is to write the release so that it both informs without sounding promotional and uses key words, a couple of links, and an About Us. Prepare the release, select related topics, identify relevant keywords and target its distribution based on geography and interest. A targeted release will result in more valuable traffic. What you don't want to do is submit releases that drive a tremendous amount of traffic that never convert to something more. Choose a delayed send of the release. The release should be timely, but sending the release out on a Friday night will result in it being seen as "old news" by the public come Monday morning. Your online press release is as easy to distribute as cut and paste. It's more powerful than self-serving online banner ads and it's much less expensive than you might think.